Published in: Collins, F.S., Holden, I. & Setchell, W.A. (1899). Phycotheca boreali-americana. A collection of dried specimens of the algae of North America. Vol. Fasc. XII-XIII, Nos. 551-650. Malden, Massachusetts. Hiraoka, M., Ichihara, K., Zhu, W., Shimada, S., Oka, N., Cui, J., Tsubaki, S. & He, P. (2017). 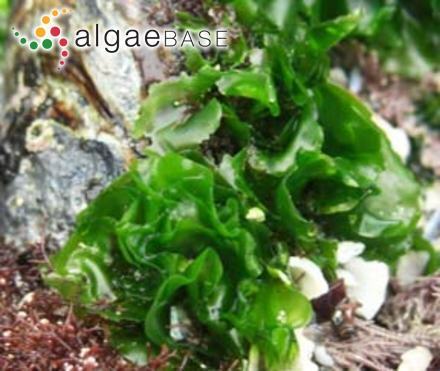 Examination of species delimitation of ambiguous DNA-based Ulva (Ulvophyceae, Chlorophyta) clades by culturing and hybridisation. Phycologia 56(5): 517-532. Loughnane, C.J., McIvor, L.M., Rindi, F., Stengel, D.B. & Guiry, M.D. (2008). Morphology, rbcL phylogeny and distribution of distromatic Ulva (Ulvophyceae, Chlorophyta) in Ireland and southern Britain. Phycologia 47: 416-429. Accesses: This record has been accessed by users 4586 times since it was created. Tanner, C.E. (1986). Investigations of the taxonomy and morphological variation of Ulva (Chlorophyta): Ulva californica Wille. Phycologia 25: 510-520.